Everyone has experienced it at some point; you’re walking along the street and a shaggy-coated, cute - yet sad-eyed - stray dog begins following you home. Regardless of whether or not you are a “doggy person”, you can’t help but want to take them in to the comfort of your home. 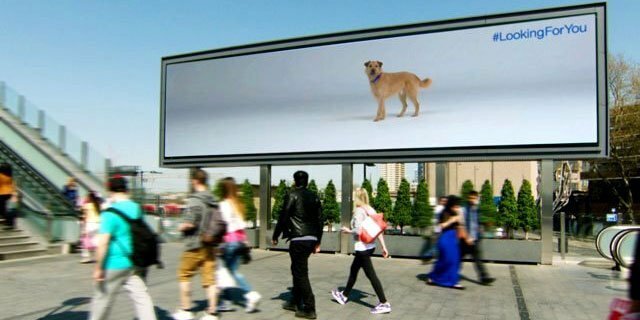 Battersea Dogs & Cats Home have recently undertaken an innovative campaign utilising RFID technology and Digital Out Of Home (DOOH) media in a never-before-seen way to raise awareness of the charity and help to re-home more of the 300 dogs that are currently in their care. The campaign took place in London’s Westfield Stratford and involved brand ambassadors interacting with the public and distributing leaflets with a unique RFID code on each. RFID stands for “Radio Frequency Identification”, and works much in the same way that a barcode would. 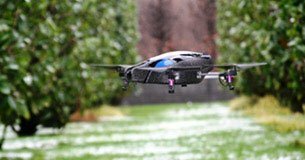 It is a small chip which can be recognised from within 20 feet of the scanner, instead of having to be positioned directly in front of it like a barcode. 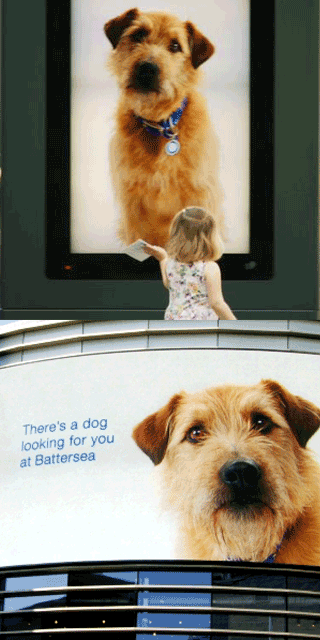 Using this technology, “Barley” – a former Battersea resident – follows those with a leaflet around the shopping centre as they move past any of the many digital billboards, interrupting any other advertising on the screen at that time. As well as re-homing, the campaign will also raise awareness and boost donations to Battersea Dogs & Cats Home because, as a nation of dog-lovers, little Barley is quite hard to ignore on a big screen. The level of emotional engagement that this campaign has harnessed is unprecedented in the DOOH world; you only have to watch the below video to see what we mean. This sets the bar for many more charities and organisations to use RFID technology to communicate their message, which is why we’re putting it straight into our “Kool Box” here at Kommando. We already have Venice the office labrador otherwise we’d be tempted! 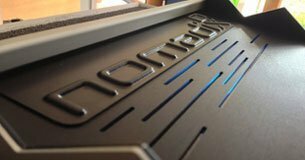 We love this nifty piece of technology by NomadiX Media. We’ve never seen anything like it before. This month, ‘moss graffiti’ goes into our Kool box. 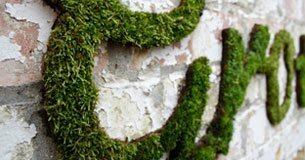 It’s a spin off from the guerilla gardening movement and brands such as Npower have already produced 'mossaging' campaigns created using nothing but moss.